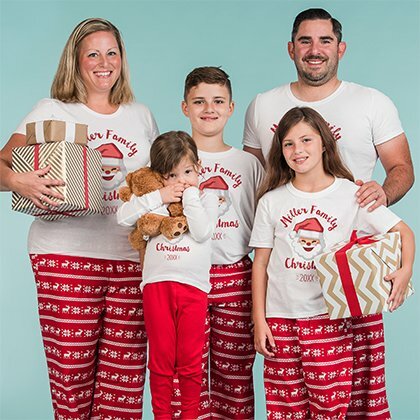 Get matching jammies for the entire family: Mom, Dad, Kids, and even the Baby! 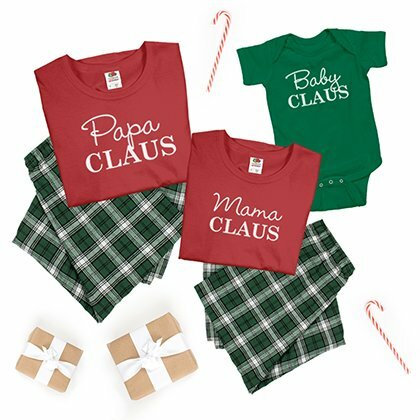 Use our design center to personalize these Christmas pajamas with your own text, art, & images. 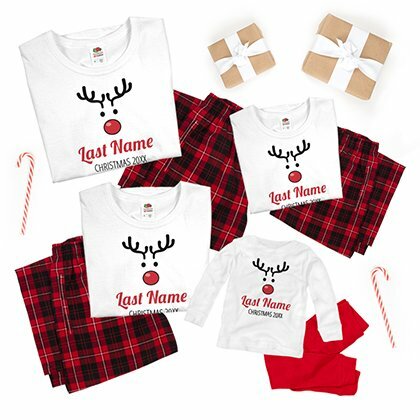 Start with blank pajamas or customize our templates below.